It is clear from the studies that long-term exposure to harmful man-made EMF emitting devices can cause serious ailments and disease. The hazardous electromagnetic field emanating from vehicles has become a source of exposure to those who commute for work or pleasure. The Carmonizer was designed to bathe you in a rich Tachyon field and the expansive Neo Field. 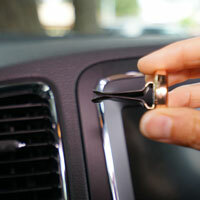 Every Carmonizer comes with an Ultra Micro-Disk sealed in the chamber. Powerful protection. Safe. Good for a lifetime. The Carmonizer, once installed and aimed (in this case) at the driver, will perform effortlessly. 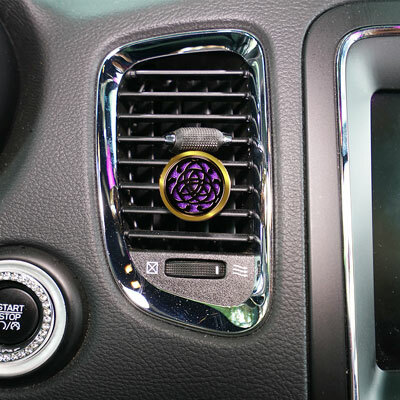 When you harmonize your vehicle's EMFs, you will feel the difference. Driving with a Carmonizer is a welcome experience. Try it for a few weeks and enjoy a welcome shift in your overall sense of well being. And that we guarantee! Outside diameter is approximately 25mm and is made from mirror finish stainless steel with a thick Gold finish. The inside is a Tachyonized Ultra Micro Disk. The entire system is sealed to promote longevity. You may install one for the driver, and one for the passenger to enjoy a communal equilibrium. 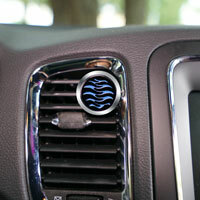 Works in most cars, trucks and RVs. Fits most vent system. Slide the Carmonizer onto the vent and point it towards the desired recipient. Easy as 1-2-3! in your overall sense of well being.